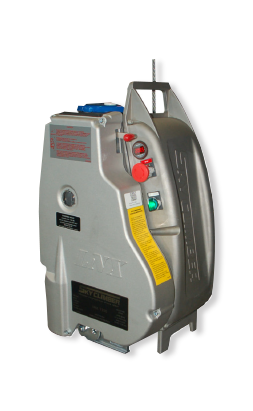 We Rent, Sell and Service Compact Electric Hoist and Air Hoists. You can count on the compact for light weight handling of heavy loads. Ideal for jobs where electrical power cannot be sourced. Easy to operate and requires little maintenance. 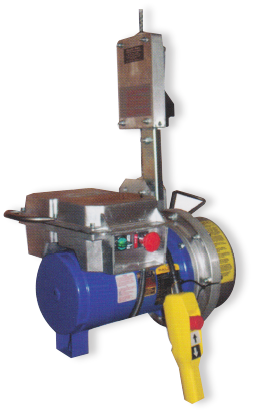 Emergency ascent handwheel, shown in stored position. 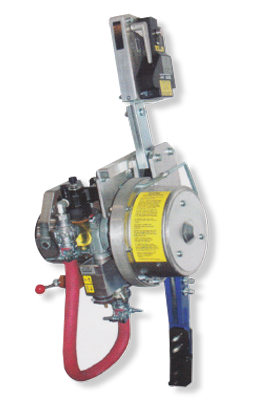 Fold-up stirrup strap design enables hoist to be maintained and stored easily. © 2019 Sky Climber of Hawaii all rights reserved.